STW Audio a sorti REFLEX free. REFLEX free is capable of generating huge spaces, short rooms, or chorus like modulations through a cascade of regenerating delays. It’s sound is a mixture of straight stereo delays followed by a dense cloud of reflections. It achieves a huge and spacey wideness with a decent amount of the two modulation sources. *Short reflections up to endless reverberation. Sir Elliot a sorti the SL–1. Variety Of Sound sort BaxterEQ. *An additional analog signal path emulation provides some subtle but precious stereo imaging improvements. Pink VST is a free amp simulation effect for guitars, featuring 10 shaping options and an optional second gain stage. The zip includes mono and stereo versions. *Switchable gain reduction/ input output meter. *Feed forward/ backward blend knob. *Feed forward feed backward / sidechain blend knob. *Tilt EQ knob to alter tone of envelope follower signal. *Stereo, individual left right, mid or side processing buttons. *Ctrl + left mouse click to default knobs. *Shift + left mouse click and drag to get precise knob movement. The FreeST Real Rotor VST rotary speaker effect replicates the sound of a mic’d up, valve-type, bass-plus-horns rotary speaker cabinet, as typically used with an old Hammond organ. It’s a development of my original Real Rotor effect, which was integrated into the FreeST VSTX3 virtual organ. Not only does this new version have improvements over the original, it’s also the first time the rotary has been available in its own right, not as part of an instrument. So now the Real Rotor can be used with any VST organ, and indeed any other instruments you feel it would suit. ChannelTools is a freeware VST plug-in to perform various tasks, primarily to control and analyze the levels of signals and to check and modify the stereo image. - Written in C++, unique buggy DSP algorithms developed by myself. 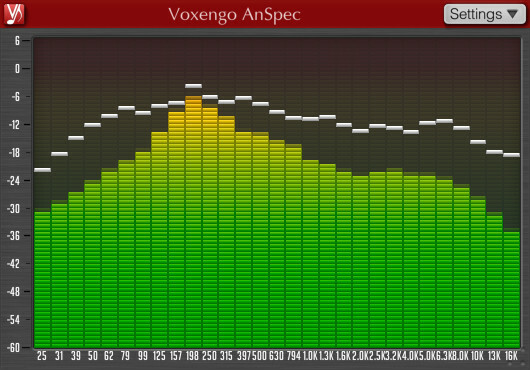 AnSpec is an analog-style third-octave spectrum analyzer plug-in for professional music production applications. It was designed to be a handy visual feedback tool for those who like smoothness and easiness of use of analog analyzers. AnSpec also provides peak level indication. *1/3 octave analog-style spectrum analyzer. Bob Leggitt sort 5 effets pour la série Stomp King. Among the first batch are some offbeat and interesting units including an analogue delay, a very cool guitar amp simulator (also brilliant for bass or clonewheel organ), a sophisticated ‘dimension’-style symphonic chorus, a cyclic filter and a standalone vibrato. It has selectable 1 to 6 stage all-pass filters controlled by an LFO, with spread and feedback controls. The plugin is highly optimized and its CPU usage is minimal, allowing for multiple instances to be used in a project. Jon Grove a sorti J-Scope. Whilst experimenting with writing a VST synthesizer plugin, I found I needed an oscilloscope whose behaviour I understood. The synth plugin has not yet made it to a state where I feel it’s worth releasing, but I think the oscilloscope may be useful to someone. I’ve tried to make it fairly similar to a real oscilloscope, although the fact that the waveform is fed to it in bursts which don’t necessarily synchronise with the computer’s display refresh rate or with the oscilloscope’s sweep rate makes it hard to accurately model a real screen. *Accepts a stereo signal, and can display it in several modes. *Timebase from 1s/div (0.1Hz) to 0.1ms/div (1kHz). *Gain (Y) from x0.1 to x100. *Y-offsets of stereo traces individually adjustable. *Adjustable trigger level, on positive or negative slopes. *Optional graticule with variable brightness. *8 preset modes for quick setup. basiQ is an acronym for Baxandall Simulation Equalizer, a FREE 3-band equalizer plugin with photorealistic graphics from Kuassa, Inc. As the name implies, the engine are modeled after a design of classic baxandall equalizer well known for its smooth shelves and natural-sounding responses, similar to the tone control on a hi-fi systems. The simple controls allow you to shape the frequency from many sources to your needs, from opening up an air on guitar leads, adding a gentle shimmer on vocals, giving extra ‘oomph‘ on your synth basslines, or even getting more presence from your masters. *Simple tone control with large Low, Mid, and High knobs. *Preset Management with 12 preset slot within a single bank. *Supports up to 96 kHz Sample Rate. *Compact and straightforward user interface. *Paragraphic equalizer with 7 bands, with the option of bell, high and low shelf shape. *Additional Low pass and High pass filters for bass/treble roll off. *Accurate curve UI with an dB axis zoom feature for extra precision. *Mouse drag modifier for even more precision. *A special “curve scale” feature which amplifies the overall frequency response of all bands. 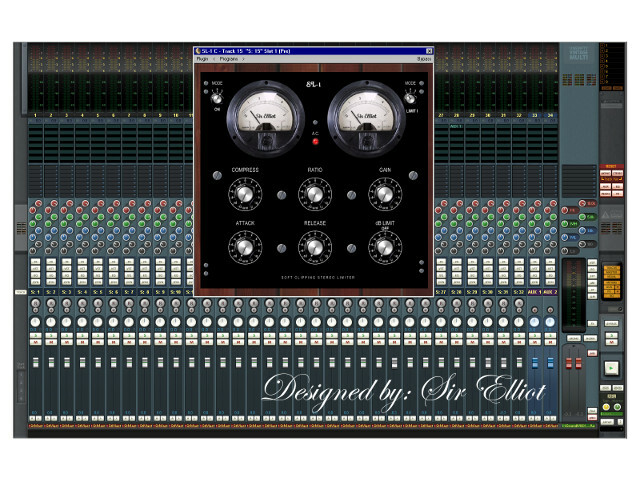 *Four output mixing modes – stereo, mono or left/right channel. *Customizable default preset bank. Default bank comes with 10 presets. *CPU-friendly 64 bit SSE processing. *Three different skins, in addition to the default red theme (above), a blue and a clean minimal variant is available. *Possibility for custom skin design (see the “skins” directory for details). Homegrown Sounds a sorti Modulator. Modulator does what it says on the tin, it uses an LFO which can then be used to create many modulation style effects such as Flangers, Phasers, Ring Modulators etc… The LFO can also be swapped for an Envelope follower which will use the incoming sound level as the modulation source in various ways. *Available effects include Flanger, Phasers, Low/Band/Hi Pass Filters, Frequency Modulation, Pitch Shift, Chorus, Ring Modulation, Gapper, Autopan, Low Shelf, Hi Shelf, Notch, Peak, Decimator, and Modulation Delays. *Huge choice of Waveforms/Envelopes, also including 150 custom Waves with Smooth Control. *BPM Synced or Freeform Tempo. *All effects have Autopan ability. *Use Midi Pitch Bend, Aftertouch, and Mod Wheel to affect parameters. *Midi Note On Re-triggers the LFO.